Marketing, Admin & Media - We create lots of admin so if you have great office skills to share please come along. We would like to develop a publicity and marketing team that can work under the guidance of our current voluntary Marketing Officer to help raise awareness for the cats at the centre. We are looking for people with good IT skills, creative writing or photography, including photo and or video editing. If you have managed a Facebook or Twitter page previously you could be helping to source news, information and multimedia to make regular posts on our social networking sites. Centre & Outdoor Events Team - We currently hold three main fund raising events at the centre and would like to create a team who can help with developing these events. Next year we would like to expand centre events introducing new ideas to make better use of our lovely grounds but will need people with great practical skills and ideas who could help to us to do this. We also need help at the events we attend off site such as Christmas markets, summer fairs through to the Derby Ramathon. Maintenance & Gardens - If you are handy with a paint brush or have green fingers we would love you to come along and find out more. The grounds take quite a lot of maintenance and there are always little repair jobs that need doing to keep us looking spick and span. The gardens would benefit from some green fingers if you like to potter or mow grass during the warmer months. Cat Care and Socialising – Hands on cat care is always a very popular voluntary role. We keep our cat cabins and public areas spotlessly clean which involves a lot of hard work. We have very stringent routines and are always on the look-out for people to become involved, however, these roles require ongoing training as the cats’ health and well-being is always our priority. There is a waiting list at the moment but come and find out more as there are different ways to get involved, maybe even socialising a long term or nervous cat. You will receive full training and support in your role. Your volunteer buddy will provide you with day to day support, guidance and direction and your staff contact, our centre manager Helen Wood, will work with others to ensure you have a positive and enjoyable volunteering experience. We also have Volunteering, Communications and Branch Support teams who can provide you with guidance and information. In the first instance email: derby.volunteering@cats.org.uk to request a volunteer application form and advise us in the email the area of volunteering that most interests you. Alternatively you can collect a form from our reception any day between 11am & 3pm. 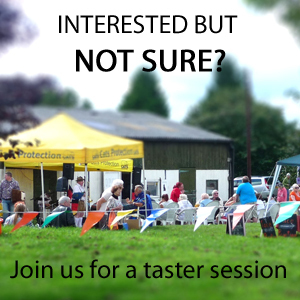 If you are not sure please ask for a taster session at one of our events as this will give you an opportunity to meet other volunteers and find out more.